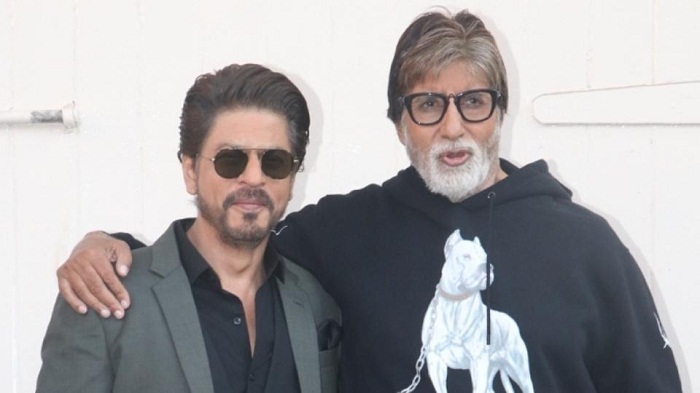 Actor Amitabh Bachchan in a tweet wondered why his recent film Badla’s box office success hasn’t been publicised ‘by neither the producer, nor the distributor, nor the line producer, or anyone else in the industry’, to which the film’s producer Shah Rukh Khan has replied. Shah Rukh Khan, who is credited as a producer on the film, through his Red Chillies Entertainment banner, reacted to Amitabh’s tweet. He wrote, “Sir hum toh wait kar rahein hain ki aap party kab de rahein hain hum sabko! We r waiting outside Jalsa every nite! (Sir we’ve been waiting for you to throw a party for everyone! We’re waiting outside Jalsa every night! ).” Jalsa is the Bachchan’s property in Mumbai’s Juhu. Badla is a revenge thriller, which reunited Amitabh with director Sujoy Ghosh and actor Taapsee Pannu. The film received mixed-to-positive reviews upon release. When he was asked by Mumbai Mirror about Shah Rukh and Amitabh’s involvement in the project, Sujoy had said that they were “very involved. Bachchan sir and he work like crazy individuals and pushed me to work harder”.